21st September is World Alzheimer’s Day™, an international campaign to raise awareness and challenge dementia stigma. Each year, more and more countries are participating in World Alzheimer’s events and in many areas, dementia awareness is growing. September is a time for action, a global movement united by its call for change, but it is also a time to reflect on the impact of dementia, a disease that will affect more and more people as the years pass. For this year’s event, we are working with Oyo State, the Nigerian Union of Pensioners and Purple Angel Global. This is to continue our awareness building campaign in support of all elderly people living with Dementia in Nigeria. 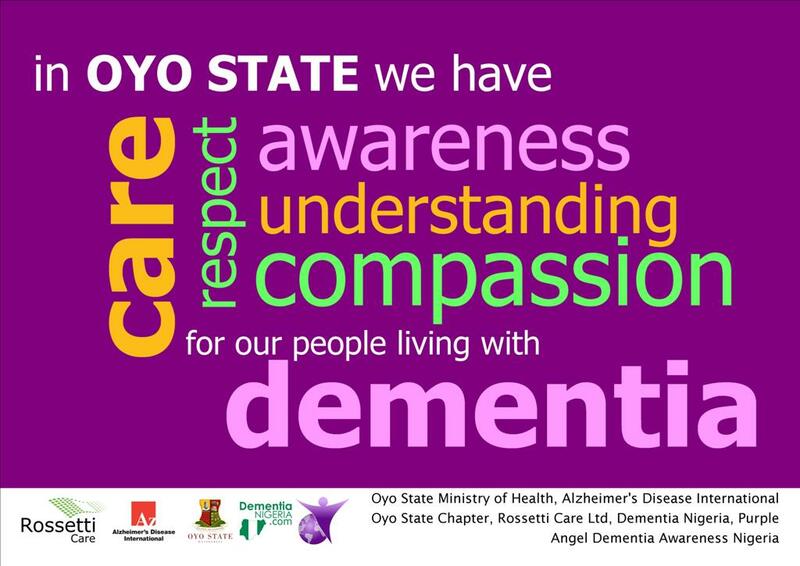 The main themes for the event are Basic Brain, and General Health Check; Fostering Community Involvement for people living with dementia in Nigeria; and Preparation of Oyo State as an Age Friendly Community.